We are,"" said Supreme Court Justice William O. Douglas, ""a religious people,"" and his observation is continually borne out in every aspect of American public life. Religious ideals underlay the founding of the colonies and the firming of the new nation; the activities of churches have been closely interwined with politics in the abolition of slavery, the drive for women's suffrage, the prohibition of liquor,and the civil rights movement of the 1960s. The recent revival of arguments over the participation of relgious groups in politics points up the continuing controversey about the separation of church and state. 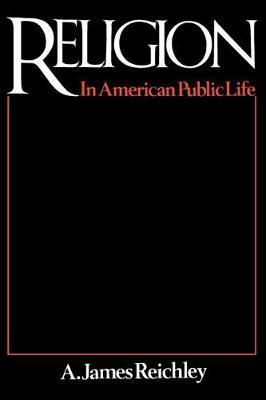 In this study, A. James Reichley places religion and politics within a conceptual framework that considers the values in which both are rooted and examines, in light of that framework, the actual impact of religion and religious groups on American public life. He analyzes the underlying causes and issues involved, their contemporary impact, and their continuing evolution. Finally he discusses how the involvement of religious groups in politics can be carried on within the context of the separation of church and state without threat to civil liberties or seculat politicalization of religion.